Home / Blog / What causes Hair Loss? Great Britain has the fifth highest number of bald men in the world, with 39.23 percent of the UK’s male population experiencing hair loss. 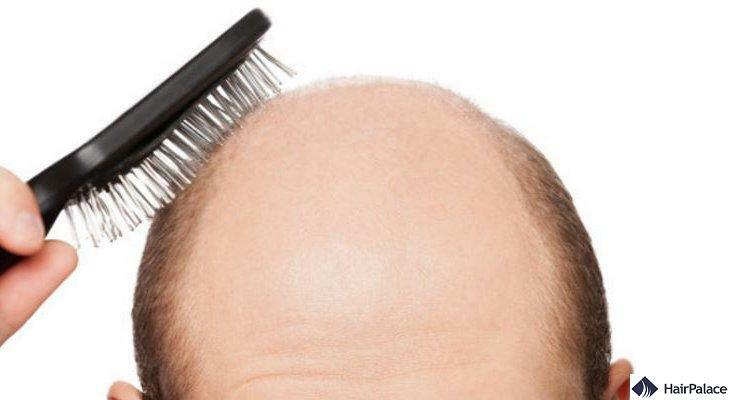 Baldness affects men in different ways. Some may embrace it and refuse to let it define them, offsetting their hair-free scalp with a luscious beard. Baldness certainly suits a lot of men, and their confidence shines through regardless of their hair count. For other men, though, hair loss can have a devastating impact on their self-confidence, affecting every area of their life. Hair transplant surgery can help to restore their self-esteem along with their locks, using cutting-edge technology for permanent results. Still, what actually leads your hair to fall out in the first place? Here are 9 common causes. Male pattern baldness (also known as androgenetic alopecia) is the most common cause of hair loss in men. This tends to strike later in life as hormone levels change, though genetic factors are another reason behind it. Baldness occurs when the hair follicles in your scalp shrink, causing your hair to become finer and shorter as it grows. The follicles affected will fail to produce new hair over time, leading to areas of loss around the temples or on the scalp. The hair around the back and sides tends to remain unaffected, though. Hair transplant surgery, using FUE technology, can promote new hair growth and restore a more youthful head of hair. Undergoing severe physical trauma – such as an illness, a car accident, or a serious injury – can trigger hair loss. This is known as telogen effluvium, and occurs when the hair’s growth cycle is affected, with the scalp shedding more hairs than it grows. The hair will grow back as your body continues to recover. Failing to get enough protein in your diet can reduce hair growth rates, with baldness starting to occur around two or three months following a major reduction in protein. Why? Each strand of your hair contains protein, and if your body isn’t getting enough of it through your diet, it will start to ration protein by cutting back on your hair growth. Meat and eggs contain protein, but if you prefer a vegetarian or vegan diet, aim to eat more quinoa, nuts, beans, chickpeas, tofu, edamame, leafy greens, sunflower seeds, and poppy seeds. Emotional stress can trigger hair loss, just like severe physical stress. Difficult life events like bereavement or divorce can be stressful enough to cause hair to fall out, while being overworked, money worries, and simply feeling unable to cope with your responsibilities over a long period may be to blame too. Hair loss due to emotional stress will eventually stop, and normal growth may continue. Try to change your situation, reduce stress, do more exercises, consider counselling, or talk to your doctor. All of these can help you manage your stress levels. Failing to get enough vitamin B in your diet can cause hair loss, as your hair growth depends on B vitamins (B1, B3, B5, and B6) to stay healthy. Your body needs B vitamins to metabolise fatty acids properly, which keeps hair lubricated and tough. Add more vitamin B to your diet by eating non-citrus fruits (apples, bananas, kiwi) and starchy vegetables (sweet corn, lima beans, potatoes, peas). You can try supplements too. Losing a lot of weight in a short space of time can cause your hair to thin, even if shedding the pounds benefits your health. Fast weight loss can inflict stress on your body, especially if you’re not eating enough and denying yourself the nutrition you need. Weight-related hair loss can occur with common eating disorders like bulimia or anorexia. Once you start eating properly and manage your weight more effectively, your hair growth should return to normal. Your hair may stay thin for a number of months first though, given the stress placed on your body. Your hair loss may be caused by certain prescription drugs, such as antidepressants, acne medication, anti-seizure medications, beta-blockers, blood-pressure medications, and blood-clotting medication. Chemotherapy can cause hair loss too, of course. Talk to your doctor. See if the medication is likely to blame, and explore other possibilities that may be available. Anabolic steroids used by some bodybuilders and athletes may help you build muscles, but your hair could suffer for it. This may be down to the steroids’ ingredients, or the change in hormones they create by boosting testosterone. Stop taking the steroids, and your hair growth should return to normal. Try to gain muscle and tone your body through organic means, rather than relying on drugs. Your hair loss may be caused by an overactive immune system, referred to as alopecia areata. This disease leads to small areas of hair loss across the scalp, as your immune system starts to attack your hair follicles. Alopecia areata rarely causes complete baldness, but might be strong enough to prevent your hair growing back. Steroids may be used to treat alopecia areata, while ointments and creams can be applied to the scalp to encourage hair growth too. When hair does grow back, it may fall out again. Sadly, there is no cure for alopecia areata at present. 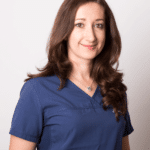 Have you experienced hair loss from any of the above causes, or one we haven’t covered? Would you consider hair transplant surgery to promote healthy hair growth? Let us know below, and feel free to call to learn more about our hair transplant cost.